This entry was posted in Lyme Disease and tagged babesiosis, bartonella, living with Lyme, lyme antibiotics, lyme disease, mycoplasma fermentans, neuro lyme, nystagmus, pirate eye patch, pirates by Cauldrons and Cupcakes. Bookmark the permalink. Ugh, I totally feel ya. My eyes have been blurring for the last two days as a result of my happy little metabolic issue, whatever the heck it is. But what can you do? I just kinda soldier on and hope it gets better tomorrow. Which it will, dagnabit. Sorry to hear that; a warm hug to you. Wishing that a long sleep will help you; take care of yourself. I had a cyst cut out of my R eye a couple of weeks ago, it’s much better than it was, but I’m so sensitive to light. Can’t wait to get my new tinted glasses tomorrow. Keep up the lubricating eye drops, they help me lots anyway. Rest well. I’ve been reading your blog for sometime now and I suppose I was concerned for you health and unsure what Lyme disease is and how do you get it. Yesterday, I went to see a practitioner and after the allergy testing Karen found I have a Lyme disease and she is treating me for the same thing. I wanted to pass on her details and hope you can benefit from her natural therapies. Please see below her address and phone number. I can only sympathise/ empathise Nicole. It seems so cruel to take one of your favourite pastimes away, even temporarily. I trust “this too shall pass” quickly. Poor you Nicole…perhaps with that eye patch and a good long snooze you dream up some fuel for your pirates and fairies tale …I for one can’t wait to see it in the book shops . Huge hugs. 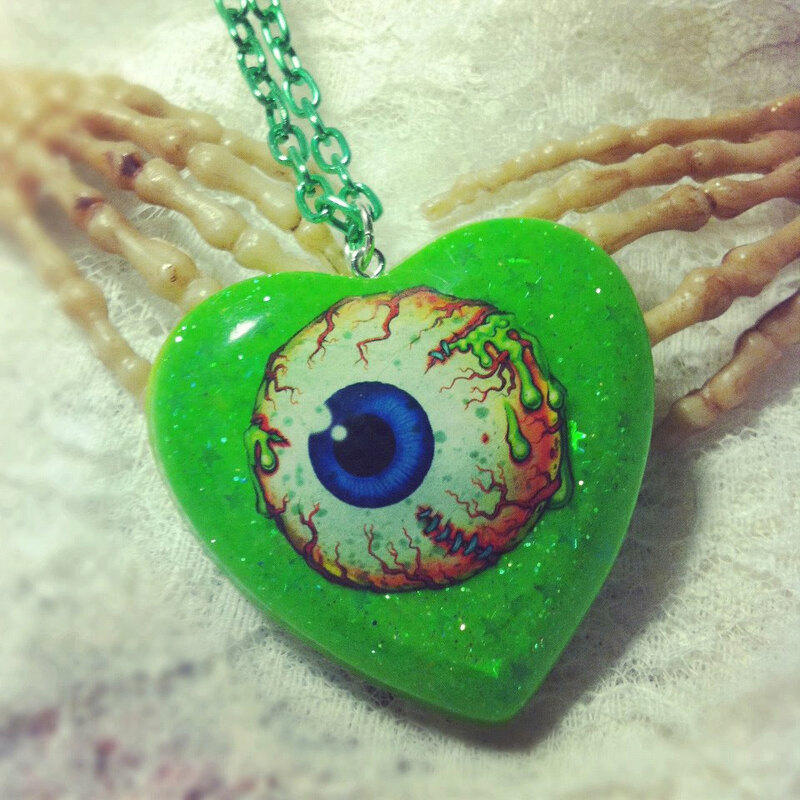 I will wear your necklace all weekend as a way of sending these huge hugs. Here’s hoping that at this end of the day you are feeling much better Nicole. Take care. 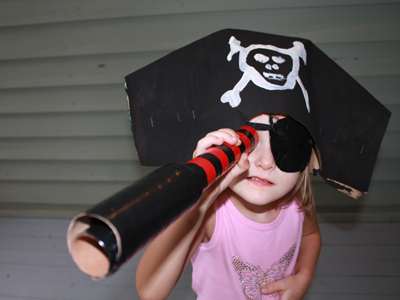 Cute, One of myfavourite shots is also of my daughter as a pirate. Ever checked out the eyes in Kathmandu Nepal, I really got eyeballed there….i’ll post an eyeball for you if you like… Good luck hope you see better soon.